Optician Training Just Got A Whole Lot Easier. Welcome To The Fastest & Most Comprehensive Way To Start Your Own Training Program, In-Office Or From The Comfort Of Home. Say goodbye to wondering if your optician training will be clinically relevant or up to date. Updated lessons uploaded to your personal account, automatically. Save time piecing together training materials. 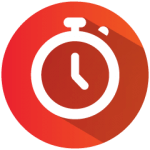 Get started in LESS THAN 60 SECONDS with a COMPLETE training system for you or your office. Reclaim your lunch hour (and after hours), because you care about a few things besides work. A revolutionary new way to implement and automate an optician training program. Transform any computer, anytime, into your personal coach for individual or group training. Easy to implement, COMPREHENSIVE optician training system for yourself or entire office in video AND reading formats. Clinical relevancy means quicker study time and efficiency. Become an exceptional optician by addressing special circumstances many opticians handle incorrectly. Understand patient symptoms of the most common eye conditions and diseases. End of chapter exam to assess comprehension on your own or as a group. Unconditional one-year 100% satisfaction guarantee. Thats how sure we are that you will love OptiQuick. Gives you a blueprint for troubleshooting patient’s difficulties to SAVE the doctor chair time. Extensive training on improving patient perception of quality and service. Forms you can customize and use immediately to improve efficiency, quality, and patient care. Increase profitability with sales and customer service training. Receive special online updates and new materials directly to your membership page. Unlimited support. Email us anytime with questions and we will reply the same day. These videos have a wealth of information in an organized, intelligently written manner. A comprehensive optician training program that saves having to pull multiple resources to help an optician obtain mastery of the information and skills necessary for a successful practice. Excellent illustrations, helpful focus points and test questions. As a practicing ophthalmologist, I would also recommend the manual for doctors to prepare meaningful training sessions for their back office and optical staff. Implementing only a few of the pearls in this program should make a noticeable improvement in the optician skills of any practice. Your training program should work hard, so you don’t have to. It’s time to put your optician training on autopilot. Lets be honest. You are always the leader. The one all the responsibilities fall upon. There’s just one problem…. training to become an optician, or training a staff of opticians, can be an expensive, daunting, and time consuming task. Optician training takes time, it takes energy, it takes creativity, it takes ideas. We all start out with good intentions, but along the way, we get distracted or discouraged. But it does not have to be this way. You just need a different approach. An affordable, turn-key, COMPREHENSIVE optician training system was needed. Good news… You can finally reclaim your lunch break and weekends (and maybe rediscover your kids) instead of sweating over your optician training. The all-in-one solution to start an optician training program you and your opticians will love using. Instant access. The entire training system can be yours in minutes. Ability to print all forms, tests, and exercises. Add your own logo for added personalization. 1 Year unconditional money back guarantee. No fine print from us…. ever. Don’t feel like watching videos? You will also have access to the complete training e-book, “The Optician Training Manual”, includes OVER 200 illustrations, to print or read on any device. With 60-second set up, clinical relevance, and easy online access, is it any wonder OptiQuick is trusted by over 3,000 opticians, managers, and doctors? T.T. Tyler Thompson, Publisher "Tyler’s Quarterly"
As the name indicates, the skills taught in this system are designed to be acquired rapidly, in bite-size chunks, making this an easy to implement, step-by-step process you can use at your own pace. Not so sure you want all of your training to be video based? No problem, we’ve got you covered. We know you might sometimes want to read the material in quiet. So, we also give you online access to the complete training material as a 278 page e-book, “The Optician Training Manual”, as well. This is the optician training book that started it all with over 200 illustrations. You can print a physical copy for yourself or everyone in your office or even easily read on any device. Unlike other optician training programs, take a look around, see something missing?  NO ADVERTISING OR CORPORATE SPONSORS. 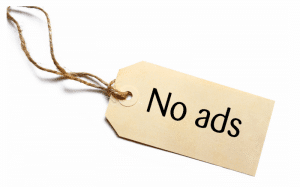 We don’t promote a product based on trying to make a sponsor happy, never have and never will. Why? Because we believe in providing you with optician training that is free from commercial bias. That leaves no room for corporate sponsors or influence, period. Becoming an optician can be a very rewarding profession. 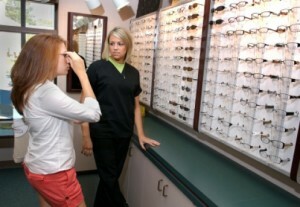 Employers typically include optometrists, ophthalmologists, and retail chains such as LensCrafters. Communication and fine motor skills are a must, the rest can be taught. 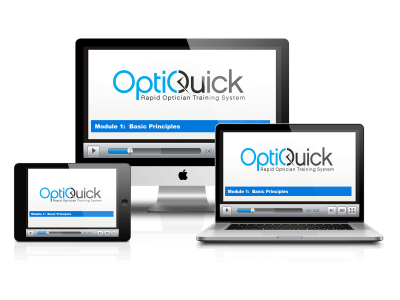 Most opticians receive on the job training, many times learning from programs such as our OptiQuick Rapid Optician Training Program. However, if you are interested in learning more about your state requirements or pursuing the training needed to become an ABO certified optician, here you will find the steps needed in your pursuit. The first step is to find out the licensing requirements of your particular state. Some states require you to be licensed through a trade school, however most allow on-the-job training. Keep in mind many times a state’s licensing requirements can be confusing. They may require you be licensed to OWN your own optical boutique, but not if you are employed by one. Essentially in this case, which is by far the most common case, the employee optician is working under the license of the owner. It will be best to actually speak to someone at the following certification / licensing agencies to learn the specifics in your particular state. To find your state’s requirements, visit the website of the Optician Association of America at www.OAA.org and click on the “links” tab in the left column. There you will find a link for “state licensing boards”. Clicking on that link will take you to a page which lists every state that requires opticians to be licensed and what they require for licensure. You can also click directly through to your state’s licensing website for more information. If your state does not require you to be licensed as an employed optician, you may begin your career simply by finding an employer willing to offer on-the-job training, however some prior training such as with the OptiQuick Rapid Optician Training System will be useful to help you get off to a goodstart. NAO.org is the home of the National Academy of Opticianry. The academy is “an international organization dedicated solely to education and training for ALL opticians.” Even though you may have discovered that in step 1 your state does not require a formal license or education, you could be well served to obtain an optician degree from an accredited trade school. Such schools can provide you with a degree in opticianry in about a year. There are several benefits of obtaining a degree from such a trade school. You will enter the job field with prior hands on training, you will be able to command a higher starting salary, and you will be able to utilize the school’s job placement programs to find better employment than searching on your own. In the rare cases your state requires a licensing test, these programs help you prepare. To find a list of accredited schools in your area, see our list below. The NAO.org website offers its own online course for $1,000 in preparation for ABO testing or state licensure (if your state requires that). Go to NAO.org and click on their link for “Career Progression Program”. If your state does not require you to be licensed, we recommend obtaining on-the-job training from a local optical store before pursuing such coursework, . Such on-the-job training along with self study courses such as our OptiQuick Rapid Optician Training System, we believe is the quickest and most enjoyable way to build confidence and the skills needed to grow in the profession. A website for opticians with experience looking to become “certified”, www.ABO-NCLE.org also has a wealth of information on the field of opticianry and state requirements. Once you gain on-the-job experience, you can become a “certified” optician through taking the ABO test (certified in fitting eyeglasses) or NCLE test (certification in fitting contact lenses). Although not a requirement for most employed opticians, becoming ABO or NCLE certified certainly is looked upon favorably with employers and can increase your earning potential. Discover Our Proven Turn-Key System for Training Your Best Optical Team Ever. Having difficulties measuring prism on the lensometer? Chapter 2 shows you how to make this worry a thing of the past. Want to learn how to give your light sensitive patients a lens that reduces light transmission more than the darkest tint alone? Chapter 5 shows you a simple, but unknown to 98% of opticians, way to help these patients dramatically. Looking to improve your patient satisfaction? Chapter 9 gives you over a DOZEN you can use TODAY. Want to improve your troubleshooting skills? There’s help for that, too.